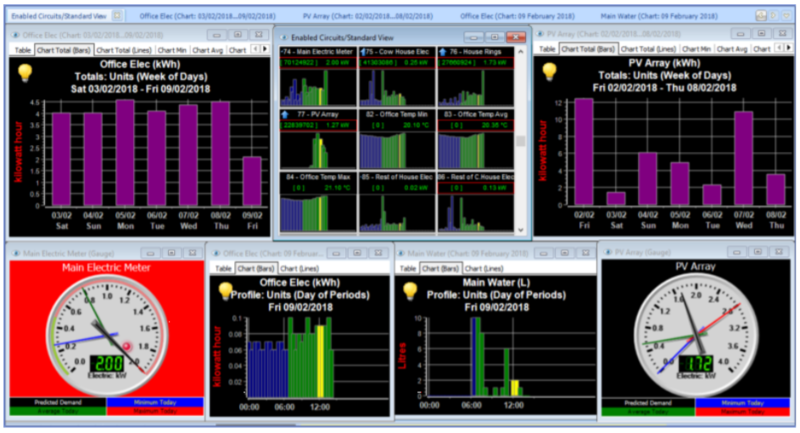 Dashboards are invaluable for presenting multiple displays in a format that the viewer can best appreciate. Even with small systems, the collected data can become overwhelming and a clear view to the intended result is required. 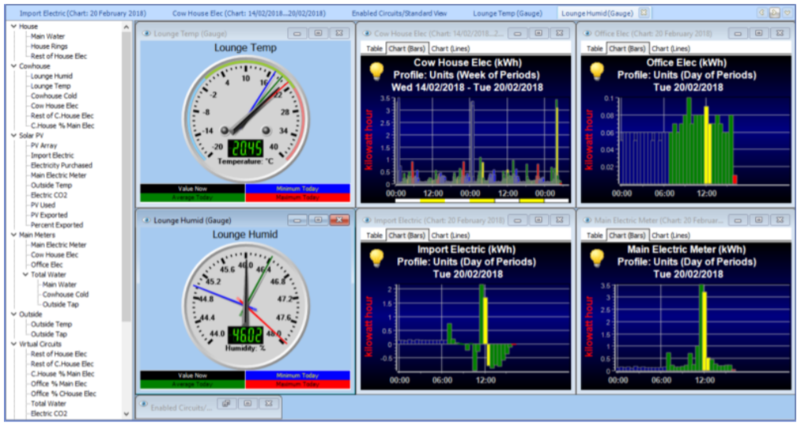 Larger systems create more data and more options, so Dashboards can help breakdown the complexity and customise displays for specific users and groups. Collected data can also be linked to external events, allowing a better understanding of usage and the relevance to the surroundings. Essential to achieving minimum cost and best usage, we provide for multiple dashboards to be created and each customised to suit the purpose and the user. 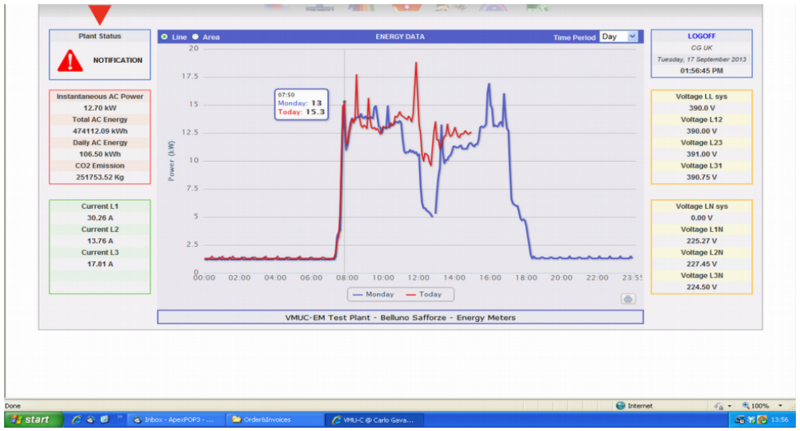 Each Dashboard can be a display of several system events, allowing related causes and effects to be highlighted. 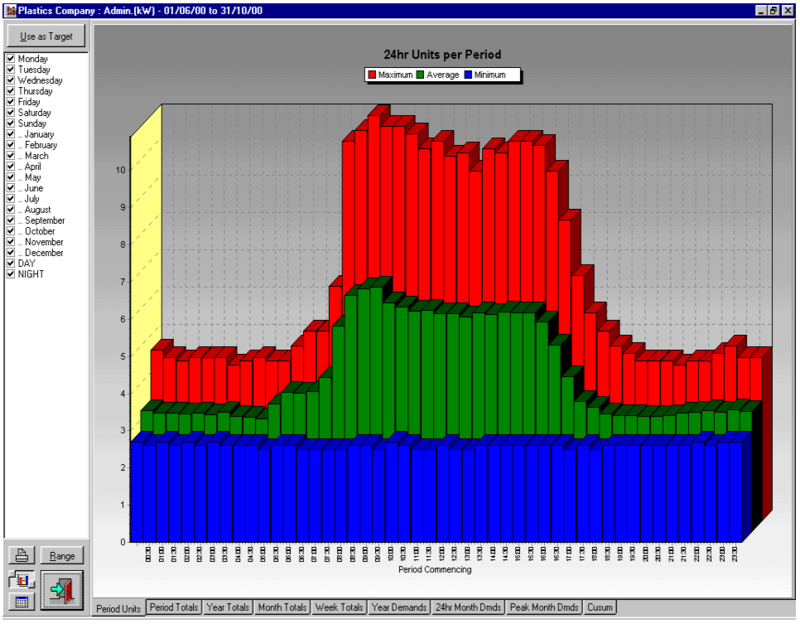 Energy and costs can be displayed in periods/days/weeks etc., split into time zones, say related to opening and closing times. Targets can be set and superimposed on realtime usage, providing immediate feedback and initiating spot checks and reviews. Longer term views, over months to years, can provide the trends to show improvements and when initiatives have taken effect. As these can often be by engaging staff, for example through a saving campaign, then the continuation is reinforced by a suitable display rather than forgotten upon completion, then slipping back into the old routine. location. Since the data is shared over the network then each location can be anywhere that can be reached within the network or through the internet. This allows local and corporate access, site wide to international distribution of the data and results. As Dashboards can be a mix of graphs and text, times and events, dials and targets, it can be kept interesting in a number of ways. Displays can be realtime, moving across the timeband that has been selected. A background image can be selected to make the information relevant or more easily recognisable. 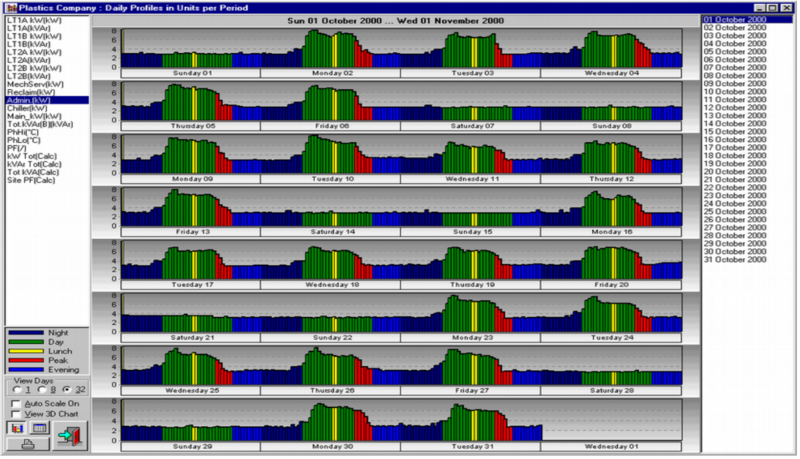 Several Dashboards can be sequenced in rotation with a selected time period thus displaying different information. strategy is immediately available, allowing fine control and shared data across an organisation.